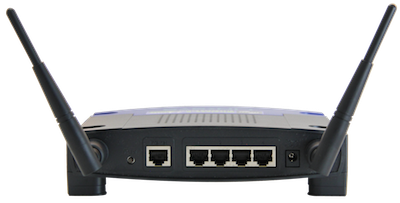 In some environments, using wired networking is preferable to Wi-Fi. 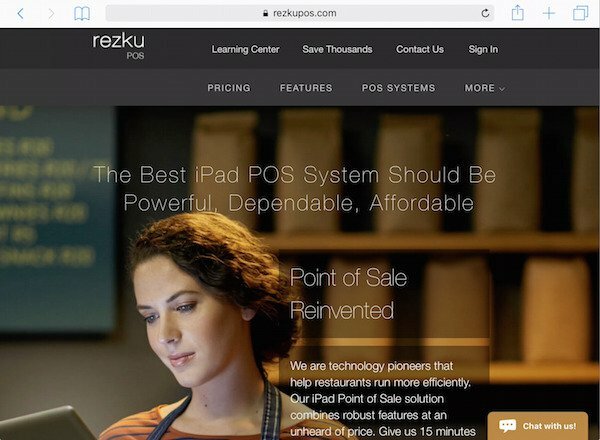 If you’d prefer to use a wired connection for your Rezku POS registers, set up is easy with the adapters supplied by Guest Innovations. 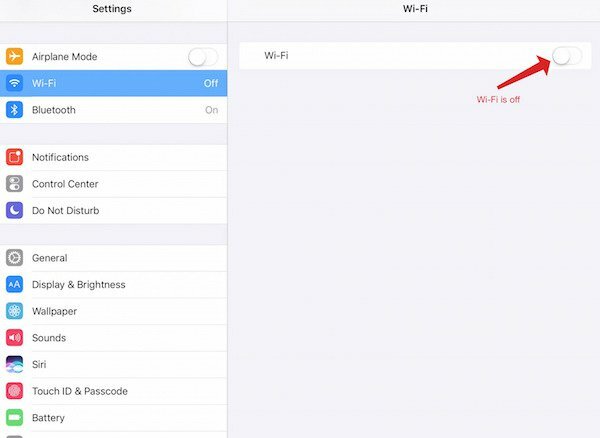 ● Tap Wi-Fi Settings and turn off Wi-Fi by tapping the toggle switch so it’s white, not green. Now set up the hardware. 1. 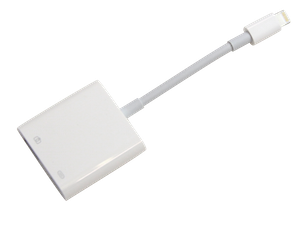 Plug the USB (camera) adapter into the lightning port on your iPad. 2. Plug the MobiLock LAN adapter into the USB port of the USB adapter. 3. 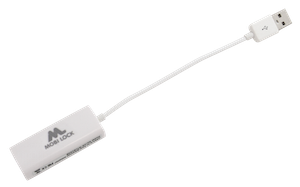 Plug your network cable into the MobiLock LAN adapter. 4. Plug the other end of the network cable into your router (which should already be configured). 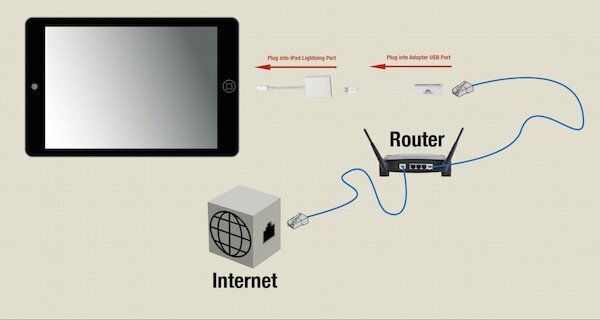 To keep your iPad charged, use the lightning port on the USB camera adapter to plug in an iPad charging cable. 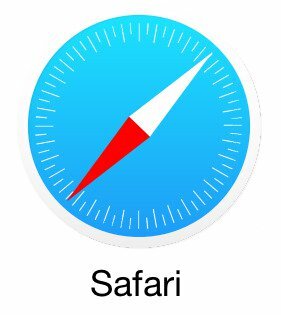 To test your iPad’s network, tap Safari on your iPad’s Home screen.